Premium Basswood Plantation shutters are timber shutters designed and built to ensure long term performance and value. An ideal solution for shaped or wide windows. 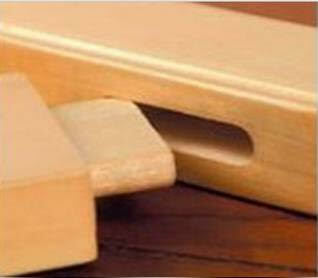 Mortise and tenon joints, designed to withstand shear and racking stress, to ensure improved strength & durability. Flat stile option for a clean, sleek look or beaded stile option for a little extra aesthetic detail. Extra wide shutters available. 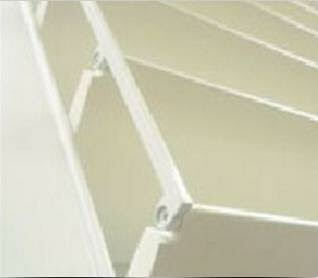 By designing a shutter with wider stiles and thicker blades, we are able to achieve single shutters up to 1050mm wide! Special shaped panels available to suit those odd shaped openings – raked, triangular, circular, arched, the list goes on. Why not seek advice from our team or our head installer who spent several years hand-making shaped shutters. 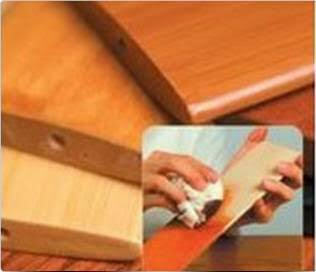 We perform multiple sequence hand sanding with fine sandpaper, and coat with high quality paint or stain and lacquer. This produces characteristics of hardness, strength, UV-resistence, water resistance and colour retention. Mortise & Tenon joints are designed to allow for maximum glue surface area to withstand shear and racking stress, to ensure improved strength and durability. 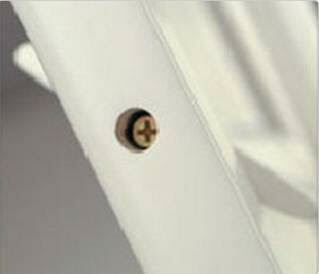 The tension screw within the shutter panel allows the tension of the blades to be adjusted. The sturdy slimline Clearview aluminium control bar ensures a modern clean streamlined unobstructed view. Custom made to your window dimensions. Face fit or reveal fit installation options. Standard hinged, double-hinged, bi-folding, bay window, corner window or sliding options to suit your needs and lifestyle. Multiple framing options and profiles, which also create additional light-block. The sturdy slimline Clearview aluminium control bar, at the rear of the shutter, ensures a modern clean, streamlined, unobstructed view, while still remaining serviceable. Split control bar optional; great for extra privacy and light control. Light and breeze control, like no other window furnishing. Keep the sunlight in or out depending upon weather, with no flapping or banging of blinds and cords.